Also published as Harrison Denmark. Robert Weinberg (also credited as Bob Weinberg) was an American author. 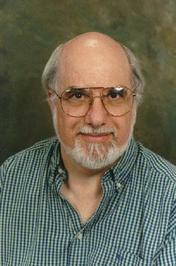 His work spans several genres including non-fiction, science fiction, horror, and comic books. Weinberg sold his first story in 1967. Most of his writing career was conducted part-time while also owning a bookstore; he became a full time writer after 1997. Weinberg was also an editor, and edited books in the fields of horror, science fiction and western. In comics, Weinberg wrote for Marvel Comics; his first job was on the series Cable, and he later created the series Nightside.